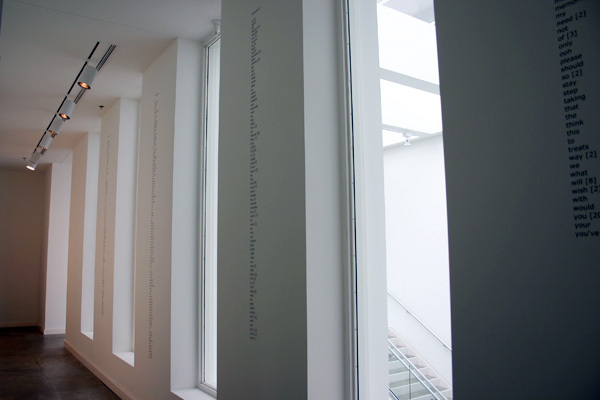 On each of five architectural columns, a column of vinyl lettering text contains all the words needed to construct a popular love song. When presented in this manner, the emotions and sentiments lose their impact, and the over-riding message is one of banality. The words and repetitions become formulaic, and by extension are able to be reduced, reused and recycled. This site-specific installation is shown here installed at the Rochester Art Center, Rochester, MN, USA. The image below details the contents of the text columns.